As it is made of 100% Human hair, it can be cut, coloured, straighten, and curled. Everything that you do with your own hair can be done with these extensions. Our wavy hair is treated to be wavy and therefore not a permanent curl, the more the hair is washed and straightened the quicker the curls will drop out. 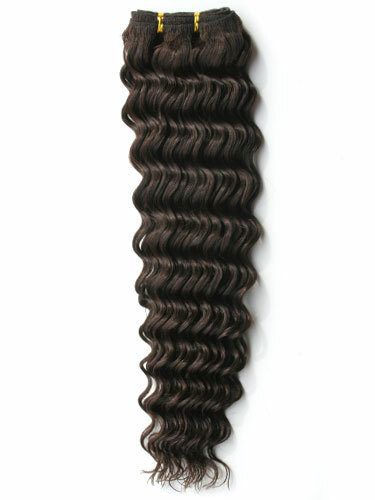 The Body Wave extensions are wonderful so are the deep wave. The customer services are helpful with the color & length. Amazing product! Several of my clients like this one. It looks great and it is the fairest price I could find online. May be I am not a experience user I am always confused the usage of these hair extensions. It is better if you could put some demo or usage onto the description. This hair is absolutely great. It is very good quality. i have never bought hair extensions before but u made it so easy! thank u so much! hair is fantastic! and delivery faster than i expected! i will definatly be buying from u again!